In 1666 Duke Rudolf August succeeded his father, duke August the Younger (1579-1666), in ruling the principality of Brunswick - Wolfenbüttel. According to the principle of primogeniture, Rudolf August received the principality of Brunswick - Wolfenbüttel. According to the public testament of his father, Rudolf August's brother, Anton Ulrich (1633-1714), was to receive the earldom of Dannenberg and his youngest brother, Ferdinand Albrecht I. (1636-1687), was to receive the earldom of Blankenburg. However, the original testament of the father disappeared in a mysterious way, and duke Rudolf August put through a new ruling. Thus the youngest brother Ferdinand Albrecht received the castle of Bevern with a yearly appanage of 8,000 talers, and Anton Ulrich received, in addition to a few provinces, the earldom of Dannenburg with a yearly appanage of 14,000 talers. During this time the subjection of the independent city of Brunswick took place. The city formally belonged to the collective family estate of the Welfs. After a Welf siege the city of Brunswick fell to the principality of Brunswick - Wolfenbüttel in 1671. For that the citizens of Brunswick were provided with new rights. For the damage to their claims duke Rudolf August had also to compensate the Welf line of Hanover with the church treasure from St. Blasius (relics treasure) of Heinrich the Lion (1129/31-1195). Duke Rudolf August developed little ambition for wider governmental dealings and preferred the passion for hunting. And so it happened in 1685 that he appointed his younger brother Anton Ulrich to joint rule in the principality. Rudolf August let his brother have an extensive free hand. 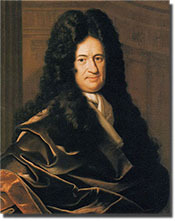 Duke Rudolf August died in 1704. His marriage with Christine Elisabeth, countess of Barby, produced only a daughter, Christine Sophie (1654-1695), the later wife of duke August Wilhelm (1662-1731). Hohnstein, O. Braunschweigische Geschichte. Brunswick, 1908.